Cafeteria tray in hand, I advance in the line manned by a trio of curt no-nonsense ladies, point to the scrambled eggs, receive the fried eggs instead, wisely retreat without argument, and maneuver towards the extra carbs which I’ll be having for breakfast in lieu of protein. My next advance is far more pleasant as I find fellow TSTP classmates with whom to share the morning meal. After breakfast, we retreat to our respective rooms for bags and brollies (of course it’s raining), then maneuver the three minute trek to the Globe. The day begins with a little history of Shakespeare’s Globe and its founder, Sam Wanamaker, introductions to the lovely Globe Education staff, including the very funny Patrick Spottiswoode, Education Director, and meet-and-greets with the 24 teachers who’ll be my classmates for the next three weeks. 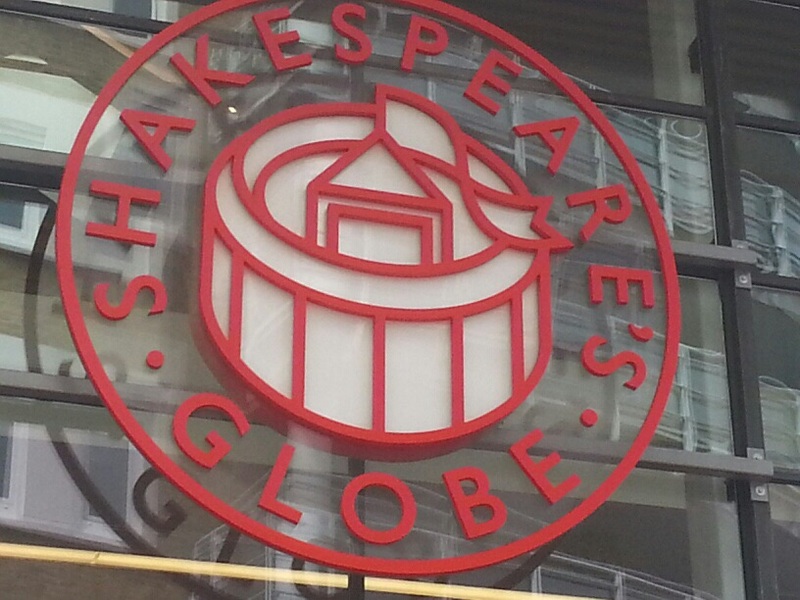 The Globe’s approach to education, especially for school-aged children, is expressed in two words: “Lively Action” (a/k/a performance), and after preliminary tours of the big stage and the new Sam Wanamaker Playhouse, which includes a rather lengthy Q&A on the use of “naked flames” via real-life candles in a wooden playhouse, we retreat for lunch and return to begin putting this lively action into practice. The afternoon’s workshops are held in a rehearsal room at The Globe’s Sackler Studios, where we had done our preliminary introductions earlier in the day. The proverbial party gets started the moment Fiona Banks, our facilitator, directs us to push our chairs aside; there’s no retreat from there: We self-reflect, draw pictures, improvise scene tableaux, and play “Crocodile, Crocodile, May I Cross the River?” in what seems like record time. This, it turns out, is just the warm-up for Colin Hurley, our first acting coach, and the source of this post’s title. 1. Advance: Look over the line, then speak it directly to your partner while taking a step toward him/her. 2. Retreat: Your partner does the same while taking a step back. 3. Maneuver: React to your partner by speaking the next line while stepping forward, backwards, or to the side as appropriate. I’ll be using this one a lot– both in and out of class. ← Shall I Prepare Me for a Summer’s Day? i am enjoying following your most wonderful experience! I remember seeing a Midsummer Nights Dream in Stratford Connecticut at the Shakespeare theatre. Actually interfacing with the actors and Being in the moment of it all in England has to be extraordinary! So happy for you! Thanks for reading, Gail. I feel incredibly blessed to be able to take part in and share this experience.